The bees are coming! The bees are coming! I have been saying this for weeks. And they are finally here. 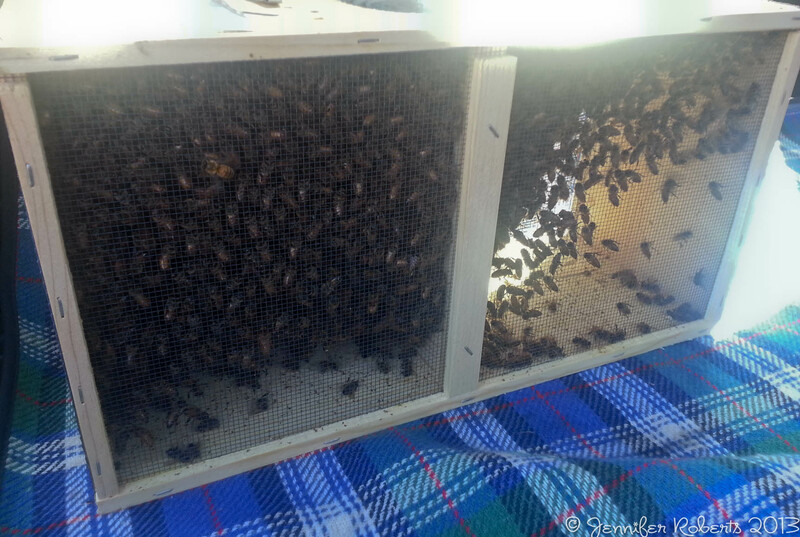 All 10,000 little souls that I ever so carefully drove home from the bee shop, stored in our cool cellar for this 88 degree day, and then (with great hesitation and full body coverage) released the queen and lowered the group into their new home. Almost all of us made it out alive. Now I leave the hive to adjust to their new residence for a few days before I do my first inspection. Which, honestly, I am already nervous about. To prepare for the bees arrival I took a class at the local community college, from a known expert in the field. And I checked some books out from the library. So far Homegrown Honey Bees has been a good read. I took great solace in the chapter titled What Am I Getting Into? I have thought that very thing many times. It’s always one thing to read and study up on a subject, but another thing entirely when you’re standing out there holding foreign tools, wearing a bulky hat and veil with angry creatures swirling around your head. So, why am I doing all this? Unless you really don’t read any news, you must have heard about the plight of our honey bee in recent years. 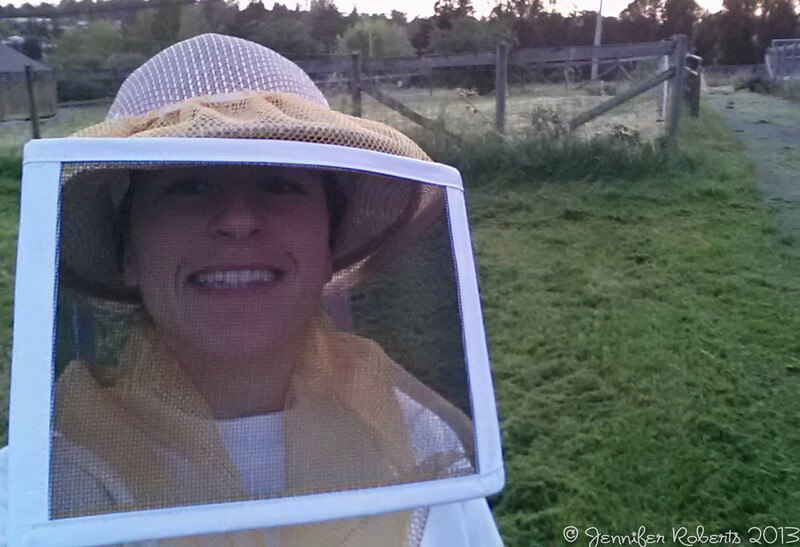 Colony Collapse Disorder, pesticides, cell phones, mites, die-off. These are all words associated with bees these days. Scientists aren’t exactly sure what is causing the great die-off of the bees worldwide but they sure have some theories. And I have mine, that I know its a man made problem. Today, the EU announced a ban on a pesticide thought to be linked to the killing of bees. This is huge news and a great step forward. And fitting for the day that I venture into the world of bees, officially. I hope this is our answer, or maybe one of our answers to why we are losing our bees at such a rapid rate. Most of us never stop to think about all the bee does for us. But without bees you could not have that juicy apple for lunch, broccoli for dinner, almonds for a snack, honey on toast, or stop to smell any roses. One mouthful out of three in our diets is directly or indirectly related to honey bee pollination. It is estimated that honey bees provide $15 billion worth of crop production each year. And they do it all for free, with gusto. So my small contribution to the solution is to use a piece of my property and some of my time to care for a colony that will hopefully remain healthy and in return give so much of themselves. They will provide so many benefits for my health and enjoyment and for the land at large.